2013.09.26: I am glad to see you, talking about gamma-ray spectrometer. 2010.09.20: Game with Twitter ? 2010.01.20: Ready to use RenderMan Pro Server 15! 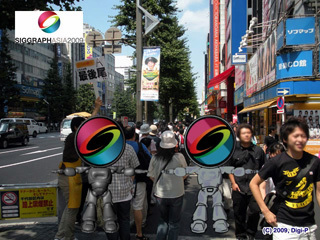 2009.06.19: Why tourist doesn't enjoy OTAKU culture and Akihabara downtown? 2009.06.15: Open SCSI, making more legends or jokes! 2009.05.10: Open is Open Platform Environment for Next! 2007.11.02: Comic Market 73 当落通知がまじか! 2007.10.23: RenderMan Pro Server 13.5.2 リリース! 2007.09.16: Maya TOON outlines and RMS 1.0 不具合? 2007.07.29: Windows XP Home Edition へ帰還? 2007.06.27: Pixar RfM2.0 & RMS1.0 リリース! 2006.09.05: Nessesary is the mother of invention.